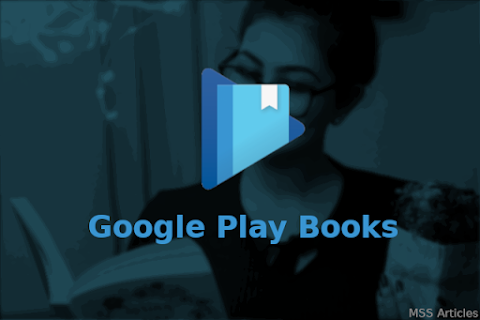 You may have come across the name "PiP Mode" during using any website or application, like YouTube, WhatsApp on iPhone and now also on Android and some more apps. It is a nice and very useful feature for multitasking and in this article, I am writing about the same. The picture in Picture Mode is a feature in which you can play any video while using the app in your smartphone. You can understand this as you must be using YouTube when you want to search for any other video on YouTube, then the video you are watching goes down and still playing. This feature is called Picture in Picture mode. Now, this feature is also available in WhatsApp. 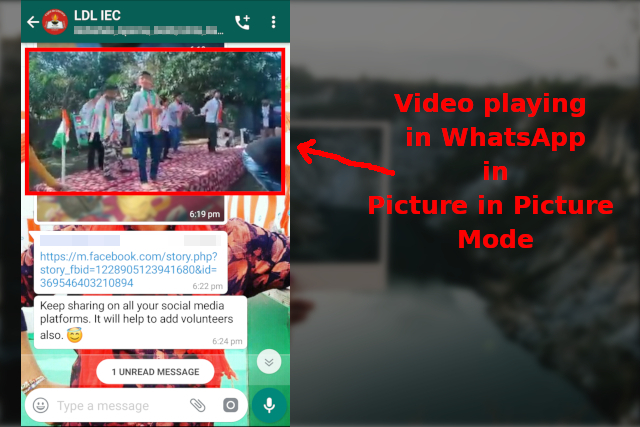 If you open any video shared from YouTube and Facebook etc, in WhatsApp, the video starts playing in a movable Picture in Picture mode, and you can still use WhatsApp while the video is playing. From Android 7.0, Picture in Picture mode can also be used while accessing any other apps. Which adds more productivity and ease to multitasking. But this feature is not available for all apps. Only some applications can be used with this mode. In this competitive growing technology industry, it is necessary to introduce new features for the sake of productivity and ease of using to be in the market. 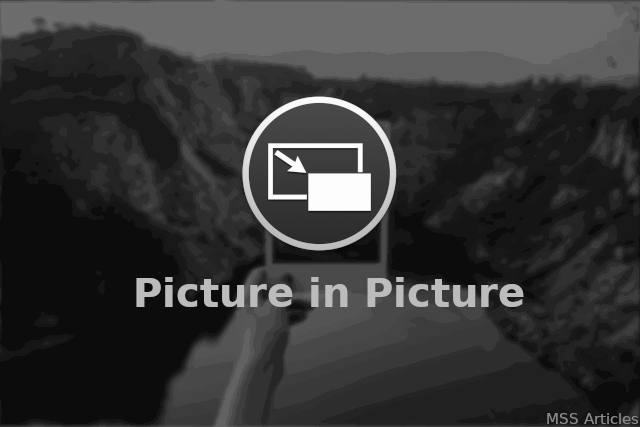 The picture in Picture mode is such a feature which is used by some operating systems, application and websites to be in top list. If you have any doubt about PiP, let me know in the comment section below.